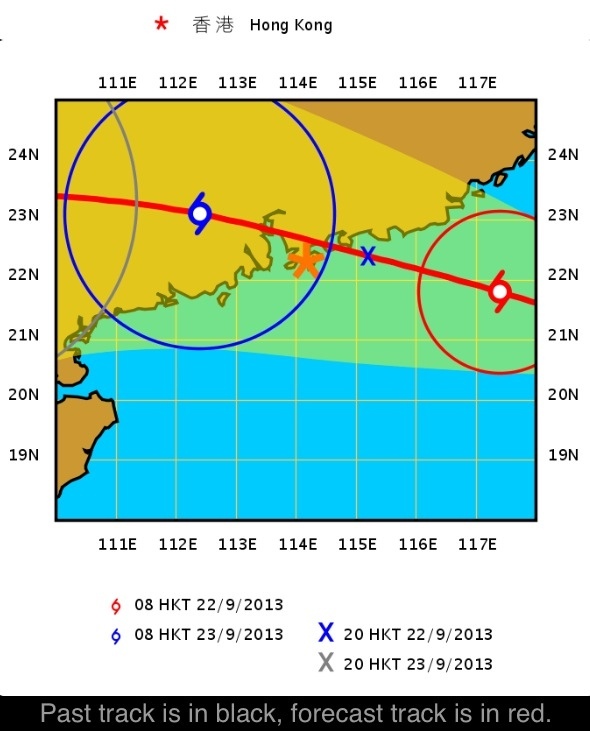 Typhoon Usagi is headed straight for Hong Kong, putting to rest any well-laid plans for a cruisey Sunday evening by the harbour. The Hong Kong Observatory this evening downgraded Usagi from an all-conquering ‘Super Typhoon’ down to a supposedly meeker ‘Severe Typhoon’, meaning winds will reach only a breezy 150 km/h. It’ll blow you away… Okay, perhaps that’s stretching the theme a step too far.